I originally intended on writing an article about my favorite spots in LA. As I started typing, I realized there was just so much to include that it needed to be separated into two parts. In part 1 I talked about my favorite places to shop, sip, and sleep. Following up with that, these are my recommendations on where to dine, sightsee, workout, and get pampered. Whether you‘re a local or a tourist, hopefully, this guide will help you discover something new in the City of Angels. The Stinking Rose (Beverly Hills): This Italian eatery is me and Billy’s favorite date night restaurant. Everything on the menu (even the desserts) are made with garlic. My go-to dish is the gnocchi (without the pork and beef sugo). 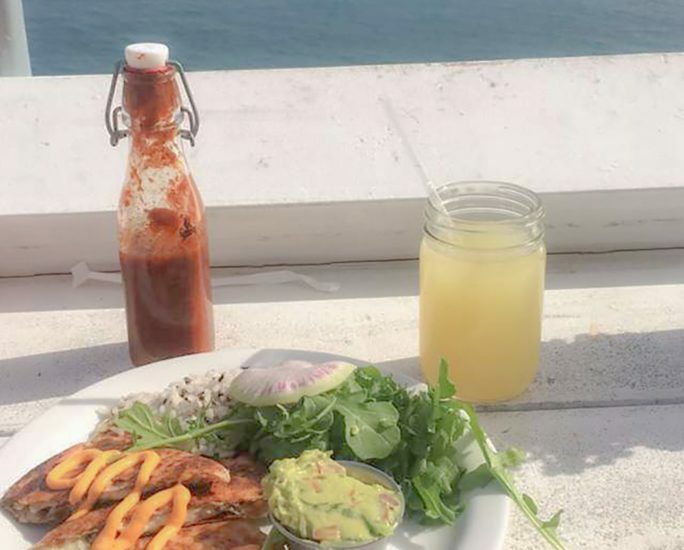 Lemonade (locations throughout LA): When I’m out and about and looking for a quick bite to eat, there’s usually a Lemonade close by. I’ll stop in and order the mouthwatering truffle mac and cheese and a s’mores bar; or if I’m trying to eat healthier, I’ll choose a marketplace salad and fresh grilled veggies. The Chateau Marmont (West Hollywood): If you’re searching for a classic old Hollywood, with tons of history and bizarre stories—this should be number one on your list. The restaurant inside the hotel serves breakfast, lunch, dinner, and late night bites. There’s also a bar to people watch (and occasionally spot celebrities) while enjoying delicious cocktails. The Cabana Cafe (Beverly Hills): Another “people watching” restaurant is The Cabana Cafe next to the pool at the Beverly Hills Hotel. There are tons of menu options and plenty of drinks to choose from, like the “Hotel California”—Tito’s Vodka, lime, agave, mint, and watermelon juice. It’s the perfect places to cool off after a long day of shopping on Rodeo Drive. Beauty & Essex (Hollywood): This is the type of spot to head to with a group of friends. You enter through a guitar shop, and then you’re led into a restaurant that has a Great Gatsby-esque vibe. During the evenings the upstairs turns into a nightclub. We usually order a bunch of dishes and share, some of our favorites are the Crispy Avocado Sliders, Soyrizo Tacos, Mexican Street Corn Ravioli, and “Les, NYC” Doughnuts. Pace Restaurant (Laurel Canyon): I was introduced to Pace when I attended a festival at Jim Morrison’s “Love Street House” in Laurel Canyon a few years back. Between the rustic ambience and the delicious food, I instantly fell in love with it. 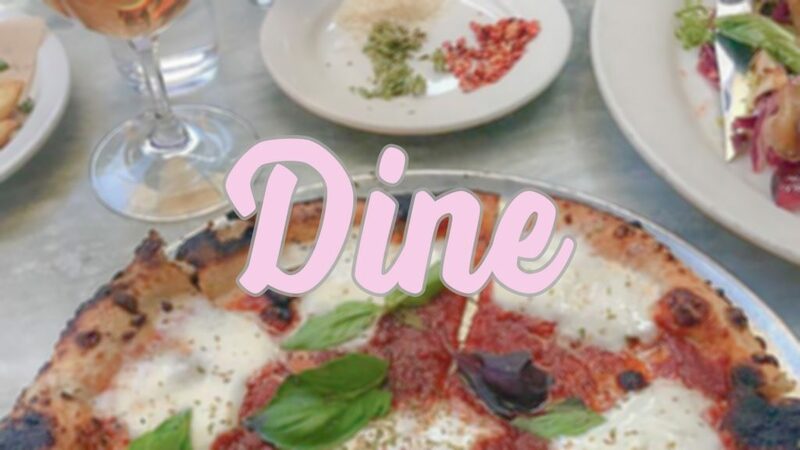 It’s an ideal family or date night spot and there are a variety of homemade pastas, ciabatta-crust pizzas, and classic entrees to choose from. PS: Save room for the Warm Valrhona Chocolate “not a soufflé” Cake. Gjelina (Venice): This hip eatery on Abbot Kinney Blvd. serves breakfast, lunch, dinner, and my favorite—weekend brunch. I love dining on the outdoor patio as I plan the rest of my day in Venice. 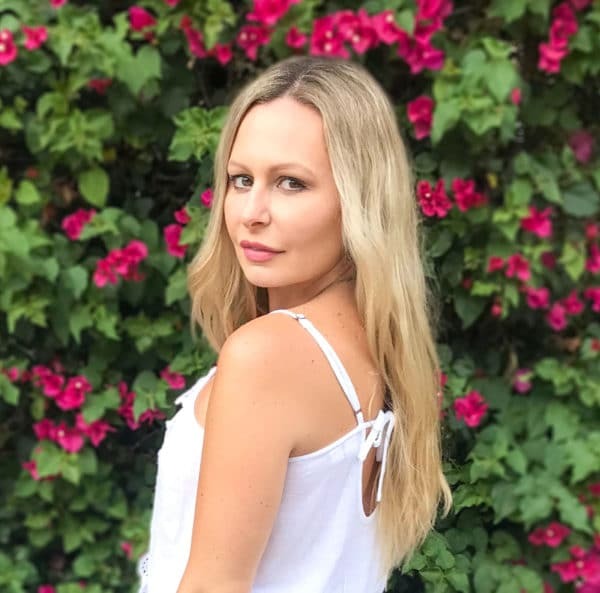 Flower Child (Santa Monica): Whenever I’m by The Promenade I make a point of grabbing a quick and healthy bite to eat here. I always order the same four things because they’re that good: crushed avocado toast, avocado hummus, gluten-free mac & cheese, and a rose lemonade. Grand Central Market (DTLA): Living in DTLA I frequent this food hall often, and whenever I have friends or family visiting, I’ll bring them here. It’s the ideal place for when everyone is craving something different. From Italian, Chinese, German, Japanese, or Mexican; to coffee, BBQ, pasta, sushi, ice cream, pizza, ramen, or a PBJ—you can find it all here. Colori Kitchen (DTLA): This small neighborhood Italian eatery is a hidden gem in DTLA. Everything on the menu is exquisite and I’ve had some of the best pasta ever here. My go-to dishes are the fettuccine alfredo, and the spaghetti pomodoro. It’s BYOB, which is perfect since it’s right next door to Whole Foods. Monty’s Good Burger (K-Town): This new burger joint serves up vegan burgers made with Impossible plant-based patties that rival In-N-Out. They’re incredibly delicious, and trust me when I say you don’t have to be a vegan or vegetarian to enjoy them. They also have an extensive menu of vegan snacks, salads, floats, and shakes. Paradise Cove (Malibu): Tucked away on a winding road off PCH, this gorgeous beach features tons of amenities that other LA beaches lack. You can relax in the Paradise Cafe and enjoy a tasty meal, or order one to go at the snack shop and dine on the beach. They also have beach rentals like umbrellas, chairs, and beds. The parking fee is $25 dollars (for 4 hours), but if you eat at the cafe and spend $20, parking is only $3. The Broad (DTLA): When I want to view the work of my favorite artists: Jean‐Michel Basquiat, Andy Warhol, Keith Haring, Yayoi Kusama, Jeff Koons, Pablo Picasso, and many others, I spend a day exploring The Broad. Admission is free, and it’s close to the The Museum of Contemporary Art, The Geffen Contemporary at MOCA, The FIDM Museum, The Grammy Museum, and tons of others in and around DTLA. The Malibu Pier / Surfrider Beach (Malibu): I love coming here to watch the surfers ride the waves, or walk the pier and have lunch at one of the two restaurants. Malibu Farm Restaurant offers sit down dining at the entrance of the pier, and Malibu Farm Cafe is located at the end and has a more of quick and casual vibe. Both offer stunning views of the Pacific Ocean and the Malibu coast. Across the street at Malibu Surf Shack you can rent paddle boards, kayaks and surfboards, or pick up a new swimsuit. The Santa Monica Pier (Santa Monica): When you think of LA, one of the first things that probably comes to mind is the famous Santa Monica Pier. Infact, Vogue listed it as one of the most Instagrammable spots in 2018. 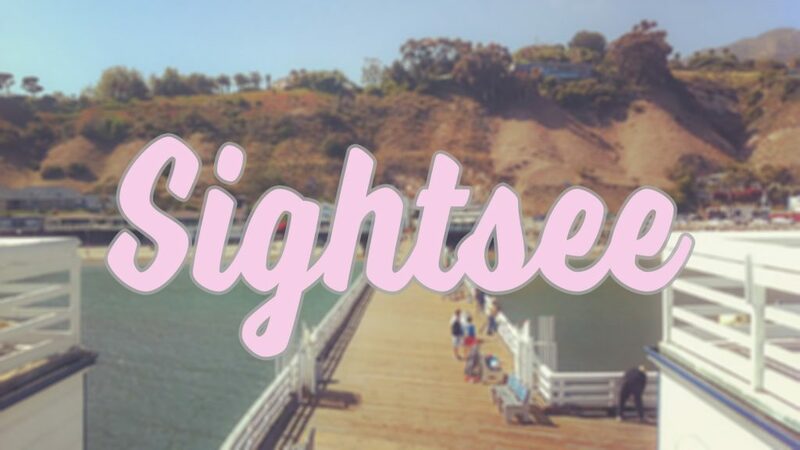 From the iconic ferris wheel that over looks the ocean and the shoreline, to the arcade games, fair food, and the carnival style rides this is a must visit spot. Even though it’s a tourist destination, I still find myself enjoying a summer day here. Cinespia (Hollywood): Outside movie theaters pop-up all over Los Angeles, but my favorite is spending a summer evening at the Hollywood Forever Cemetery. Classic films like True Romance, Now and Then, Halloween, Almost Famous, and Casablanca play on a big screen under the stars. There are plenty of food trucks for snacks and a DJ spins as the sun sets—it’s the ideal California date night. Griffith Park (Hollywood): This is my favorite hike in Los Angeles. As you reach the top, you’ll see panoramic views of Downtown Los Angeles and The Hollywood sign. Once I’m finished, I’ll stop at the Cafe at The Griffith Observatory or The Trails for a quick snack. Santa Monica Stairs (Santa Monica): If you’re searching for an excellent workout, don’t underestimate the Santa Monica Stairs. Comprising 152 steps, it’s a go-to workout for locals and tourists. As you climb, you’ll have an impressive view of the Pacific Ocean. Runyon Canyon (Hollywood Hills): This is another popular hike with incredible views. It’s 3 miles and takes about an hour in a half to complete. If you’re hoping to spot celebrities, or for a place to bring your dog...it’s an ideal spot. When you’re finished, head to Food Lab for a healthy lunch. Beach Yoga SoCal (Santa Monica): It doesn’t get more “LA” than doing yoga on the beach. Beach Yoga SoCal hosts their classes in Santa Monica (between lifeguard tower 28 & 29). You can choose between a variety of classes that take place in the morning or evening during the sunset. ClassPass (Various locations): This is a great option if you’re visiting and want to try out different studios and workouts. When you sign up, you’ll get a free two weeks which allows you to book between 5-8 classes. After that, memberships start at $49 dollars per month (with locations all over the US). 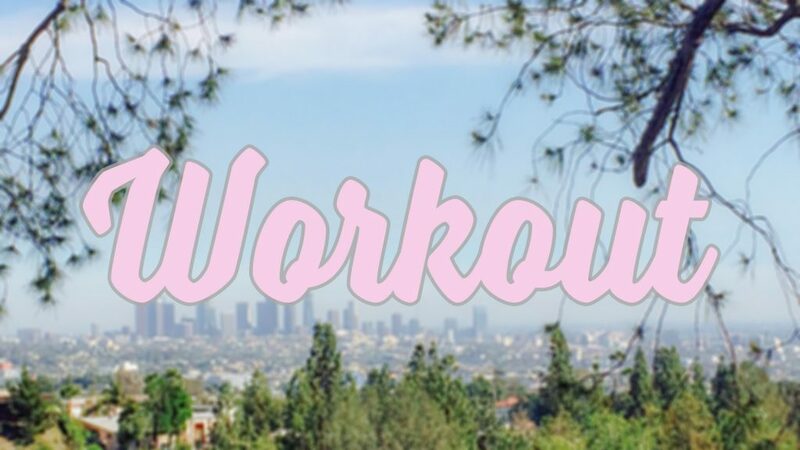 There are tons of workouts that are favorites among LA locals: AIR Aerial Fitness, Cycle House West Hollywood, Body By Simone, CrossFit Hollywood, BeSpun Pole Dance Gym, Rise Nation, Barry’s Bootcamp Hollywood, and Ballet Bodies. Industry DTLA (Downtown Los Angeles: After trying many salons in Los Angeles I came across Industry DTLA and I’ve been going there ever since. I have two different stylists; one who does my cut and another who does my color. They also sell some of my favorite hair care lines like Kevin Murphy and Brazilian Blowout. Bliss Spa at The W Hotel (Hollywood): When I’m looking for a day of relaxation I’ll head to Bliss Spa. It’s ideal for a girls day, or just to spend some time alone. There’s an amazing spa menu with many different services. While waiting in between appointments, you can sip mimosas, snack on cheese and crackers and enjoy the most delicious blondie brownies in their relaxation room. Wi Spa (K-Town): This Korean Spa is open 24 hours a day and offers use their hot and cold baths, sauna room, and fitness room for an admission fee of $25 - $35 dollars. 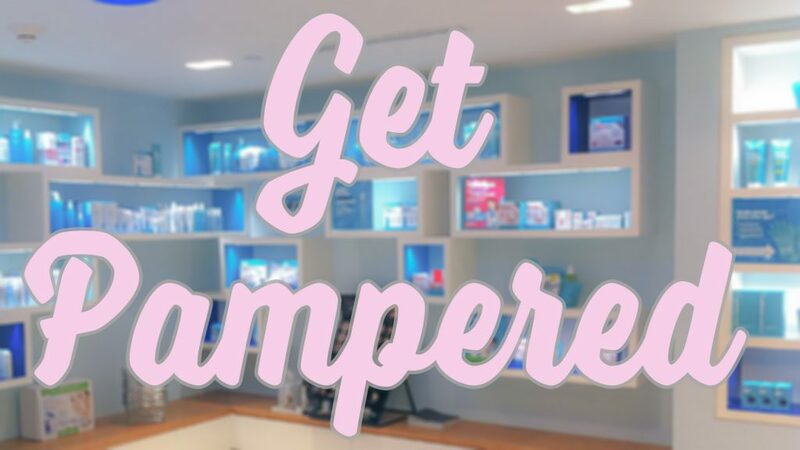 If you book a spa service like a massage or facial, the admission fee is waved and you’re free to use all of the amenities before and after your appointment. Base Coat (Arts District): Usually I do my own nails, but at times I’ll choose to get them done at a salon. My favorite place is Base Coat in the Arts District. All of their products are vegan and cruelty-free, and they created an alternative to gel manicure. Some other unique things about this salon is that each week they have polish suggestions based off tarot card readings, and have Kombucha on tap!